The world is currently seeing a mass movement of refugees, asylum seekers and internally displaced persons on an unprecedented scale. According to the United Nations High Commissioner, the figure topped over 65 million people in 2016 and continues to grow at a rapid rate. However, the acceptance and resettlement of these refugees is a responsibility not shared equally amongst members of the international community. The Asia Pacific remains a region of the world with one of the lowest refugee and asylum seeker intakes, despite being home to some of the world’s most developed countries with the some of the largest economies. This includes Japan, a country with the world’s third largest economy. In a study published by international aid organisation Oxfam, in July of 2016, Japan is capable of accepting up to 48, 000 applications for refuge. But in 2016, Japan accepted only 28 of the 11, 000 applications for permanent refuge it received; among them seven Afghanis, four Ethiopians, and three Eritreans. In that same year, it was the world’s fourth largest contributor to the UN Refugee Agency, donating a total of US$164, 726, 114. 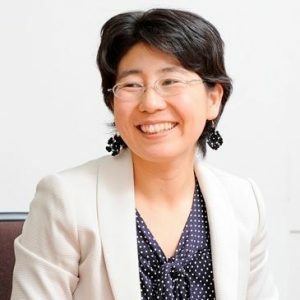 For greater insight into Japan’s approach to the global refugee crisis, Quarterly Access spoke to Eri Ishikawa, the Chair of the Board of the Japan Association for Refugees (JAR). JAR is a registered not-for-profit organisation established in 1999 to assist new refugee and asylum seeker arrivals with their transition and integration into Japanese society. As Ms Ishikawa explains, the main purpose of the organisation is to provide for the needs of the refugees and advocate on their behalf to the government. “Our main focus is on asylum seekers in a destitute situation, because there is a real lack of [government] support,” says Ms Ishikawa. The limited funds available to JAR – a combination of funding from the government, the UN and money raised from civil society – are spent on food, clothing, shelter and interpreters for the country’s refugees and asylum seekers. According to Ms Ishikawa, foreign humanitarian refuge continues to remain a non-issue in Japan, both for politicians and civil society. As a result, the Japanese government continues to ignore the needs of asylum seekers both in terms of building necessary infrastructure and providing critical social security. There is also a general lack of transparency surrounding the country’s treatment of refugees held in Japan’s five immigration detention centers. These centers are used to indefinitely imprison those who have over-stayed their visa or have entered the country illegally. “We are worried about the medical conditions of these medical centers,” says Ms Ishikawa. Similarly, the government also provides little information regarding the deportation of refugees who have had their application rejected. “We’re not able to track deported asylum seekers,” says Ms Ishikawa. In 2009, JAR also became aware of the Japanese government deporting a member of an ethnic minority in Burma who sought asylum and protection from political persecution. At the time, JAR argued that his deportation was in blatant violation of Article 33 of the 1951 Convention Relating to the Status of Refugees, Article 3 of the Convention against Torture and Other Cruel, Inhuman or Degrading Treatment or Punishment and Article 7 of the International Covenant on Civil and Political Rights – all of which Japan is a signatory of. “We are concerned about the due process of these deportations,” says Ms Ishikawa. Not only is Japan known for its low refugee acceptance rates, but also its selectivity regarding refugees’ country of origin. For many years Japan had accepted only a handful of asylum seekers from Syria. Ahead of last year’s G7 summit, Prime Minister Abe announced a four-year program between 2017-2021 to accept 150 Syrian university students and their families on temporary student visas. She acknowledges that the increased intake of asylum seekers or refugees is not only a fulfillment of Japan’s moral obligation as a signatory of the UN 1951 Refugee Convention, but also a means of helping Japan deal with its low fertility rate, ageing population and labor shortages. Data released by the National Institute of Population and Social Security Research in Tokyo projects that Japan’s population will decline to under 100 million by 2046, and that four out of 10 Japanese people will be over the age of 65 by 2060. For Ms Ishikawa, the answer to Japan’s problems lies in the answer to the world’s humanitarian problem: granting permanent refugee and asylum to more displaced persons. United Nations High Commissioner for Refugees (2016) Global Forced Displacement Hits Record High, http://www.unhcr.org/en-au/news/latest/2016/6/5763b65a4/global-forced-displacement-hits-record-high.html, 14 June 2017. Oxfam International (2016) A Poor Welcome From The World’s Wealthy, https://www.oxfam.org/en/research/poor-welcome-worlds-wealthy, 15 June, 2017. Miyazaki, Ami & Funakoshi, Minami, “Japan Took in Just 28 Refugees in 2016, Despite Record Applications” in Reuters, 14 June, 2017. United Nations High Commissioner for Refugees (2016) Global Donors, http://www.unhcr.org/en-au/donors.html, 16 June, 2017. Asia Pacific Refugee Rights Network (2009) Statement Regarding Deportation of Asylum Seekers in Preparation For The Petition To Revoke The Decision To Reject Refugee Status, http://aprrn.info/statement-regarding-deportation-of-asylum-seekers-in-preparation-for-the-petition-to-revoke-the-decision-to-reject-refugee-status/, 13 June, 2017. Taylor, Adam, “Japan Has Accepted Only Six Syrian Refugees. Meet One of Them” in Washington Post, 12 June, 2017. National Institute of Population and Social Security Research (2017) Population Project, http://www.ipss.go.jp/pr-ad/e/eng/03.html, 11 June, 2017.